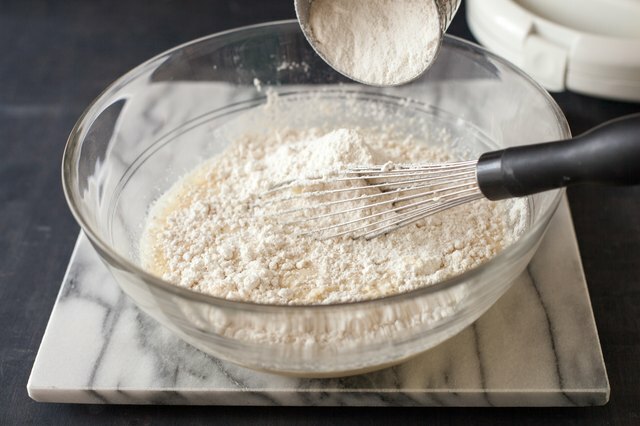 You can make waffles from scratch, from waffle mix or from pancake mix. It’s unnecessary to purchase both waffle and pancake mix, when pancake mix makes delicious waffles. 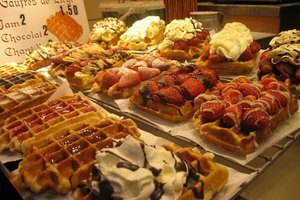 Waffles are made of a richer batter than pancakes, with an additional egg and oil. In fact, most pancake mixes offer directions for creating waffles out of the mix. 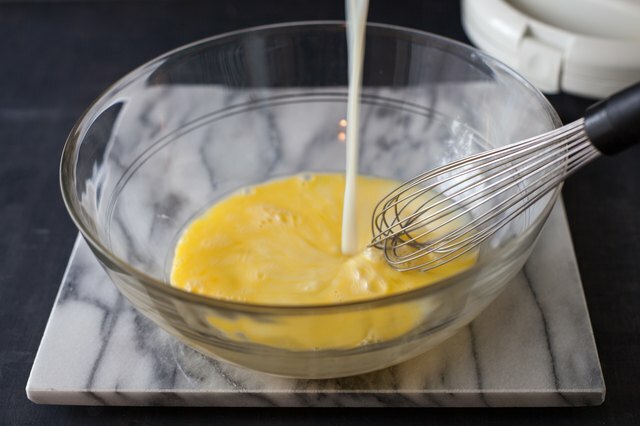 Crack open 2 eggs into a large mixing bowl. Beat the egg. Add 1 tbsp. almond extract, 1 1/2 cups of milk and 4 tbsp. oil, butter or melted shortening. Stir the mixture until it is combined. Pour 2 cups pancake mix into the wet mixture. Stir until all lumps have been dissolved. 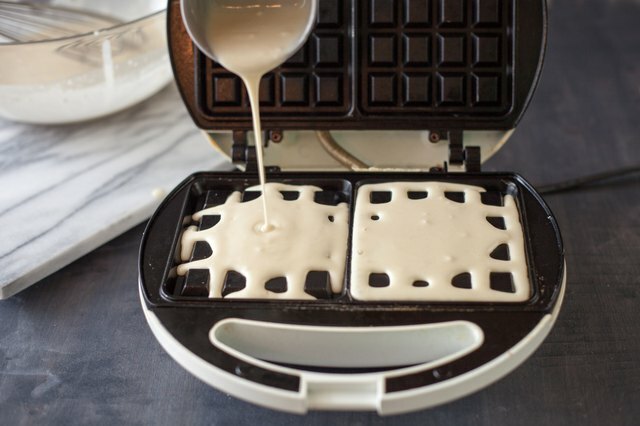 Pour a portion of batter onto the hot waffle iron. This amount will vary depending on the size and type of waffle iron. Always follow the manufacturer’s specifications. 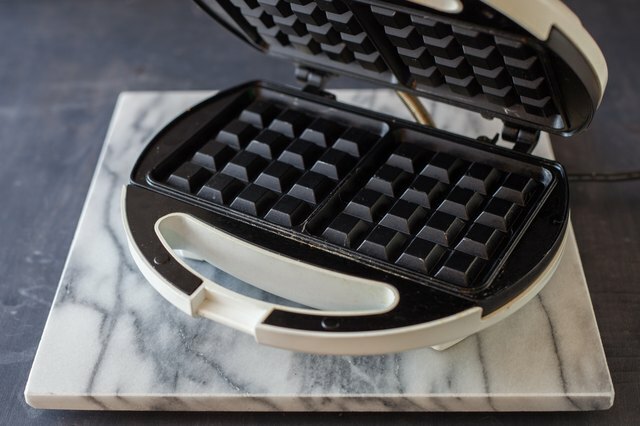 Open the waffle iron and remove the waffle, when it stops steaming. 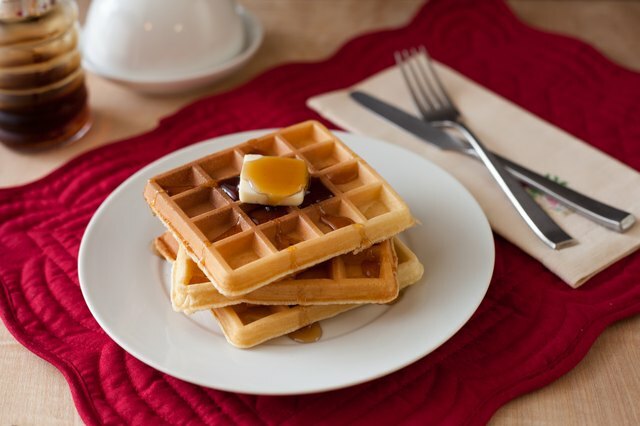 You may add different food items to the batter, before pouring it into the waffle iron. Try chocolate chips, nuts, coconut and fruit. 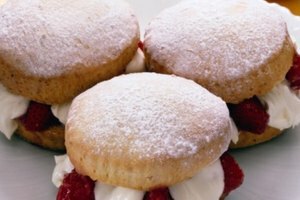 Although maple syrup is a common topping for waffles, try berries and whipped cream for a breakfast alternative or dessert. To make Norwegian waffles from pancake mix, add another egg and a teaspoon of vanilla extract to the batter. Replace the almond extract in the recipe for any other extract of your choice, such as rum, vanilla or maple.